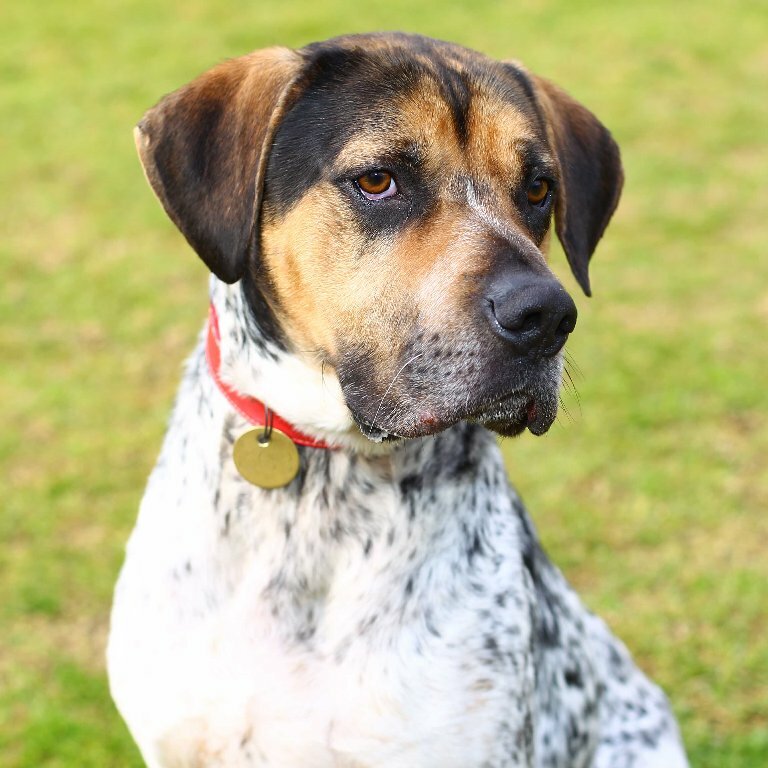 One year-old hound cross Cheeko is a big dog with an equally big heart! But sadly, this smart, super affectionate and goofy boy has been waiting for his new family for 65 days. And we can’t understand why. Cheeko is a real people dog. He loves nothing more than spending time with his nearest and dearest, and would be the ideal dog for an owner who enjoys having their best four-legged buddy by their side. Cheeko has spent some time in obedience classes, but he would benefit from ongoing training to build on his good doggy manners. He is a patient and gentle man, but as a large dog he is very strong and would suit an owner willing and able to put in the time and effort the help him manage his strength. Loveable Cheeko would make be a wonderful companion to a range of owners, but due to his young age and size, he is perhaps not suited to a family with very young children. If you want to see why we love Cheeko, check out his video here! You can also meet Cheeko in the fur this weekend at our North Melbourne shelter at 2 Gracie Street, North Melbourne. Cheeko has been vet checked and is vaccinated, microchipped, wormed and desexed. If you would like further information please call us on 9329 2755.